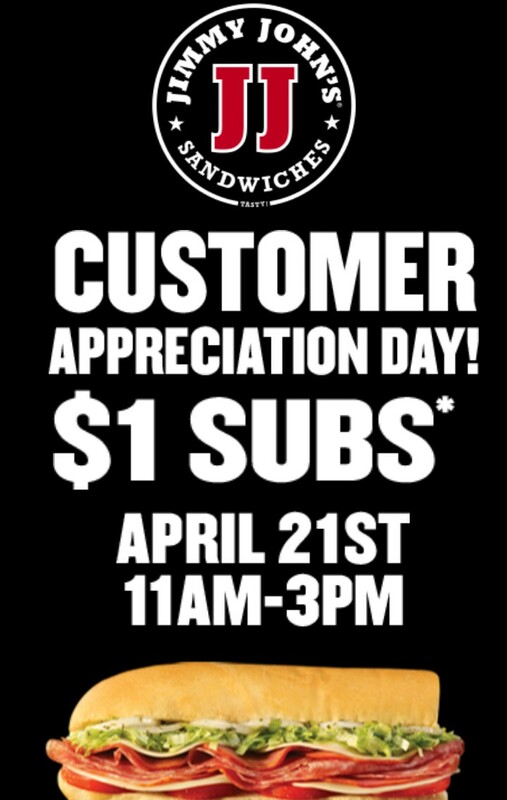 Jimmy John’s will offer $1 sandwiches at locations across the country on Thursday, April 21 for customer appreciation day. 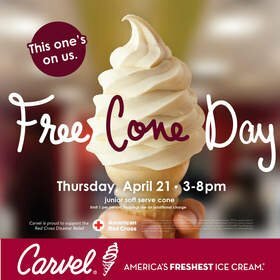 The deal will be valid from 11:00 a.m. to 3:00 p.m. with a limit of one sandwich per customer. Sorry, freaky fast delivery won’t be included in this offer — you’ll have to go into the shop yourself. people that they may help, so here it occurs.